Give your wedding guests a fun experience taking photos in a vintage 1971 VW Bus. Give your employee's the gift of enjoyment with this fun + unique photo booth. Big Bear Photo Bus is perfect to celebrate a birthday or special occasion. Four years ago in a garage in Big Bear City, California, an idea was born; an idea to fuse the style of a 1971 VW Bus with the functionality of a modern photo booth. Fast forward to today and that idea is Big Bear Photo Bus. 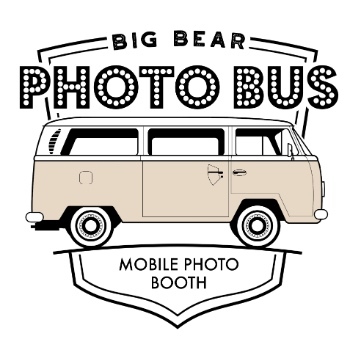 The brain child of Steve O'Keefe, Big Bear Photo Bus is a fun way to entertain guests, family, and friends while also provide a unique souvenir from your event. How does it work? We come to your location and set up the bus. We provide an attendant, super-fun props, and photo strips printed on site (just like the old-school photo booths). We can customize your photo strips too. Want to put your names or a date? No problem! Feel like incorporating a custom theme or hashtag? Sure! With our background in graphic design and visual arts, we'd love to create something special just for you. Weddings, Corporate Events, Birthday Parties, Graduation Parties, Holiday Parties, School Dances, School Fundraisers, Other Fundraisers, Grand Openings, and anything else you can dream up. Steve O'Keefe is an artist, car enthusiast, amazing husband and father, and friend to all. He got his start in the art world at Chaffey College when he enrolled in a photography class. He instantly fell in love with the medium and set himself apart with his unique perceptive. In 2005, he and his wife Jenna launched their photography company, OKeefe Photography. He enjoyed shooting with Jenna and building the business, but still longed to incorporate his passion for cars into his career. One day while arm-deep in an engine rebuild, the idea of Big Bear Photo Bus was born. It's taken several years and countless hours researching, developing, building, and designing to complete the concept, but now it's here. Finally, Steve is able to fuse his love of cars and photography while bringing joy to others. "The Big Bear Photo Bus made the best addition to our engagement party! It was pulled right into the driveway, and the outside set up was perfect! Our guests were so excited just looking at the outside of the bus, but when they discovered there was a photo booth inside, it quickly became the highlight of our entire party! It was a complete hit for people of all ages, and we made the best memories using the fun props. The photo strips made for the perfect keepsake from our engagement celebration! The bus is the perfect addition to turn any event from good to great!" Images provided by Okeefe Photography.